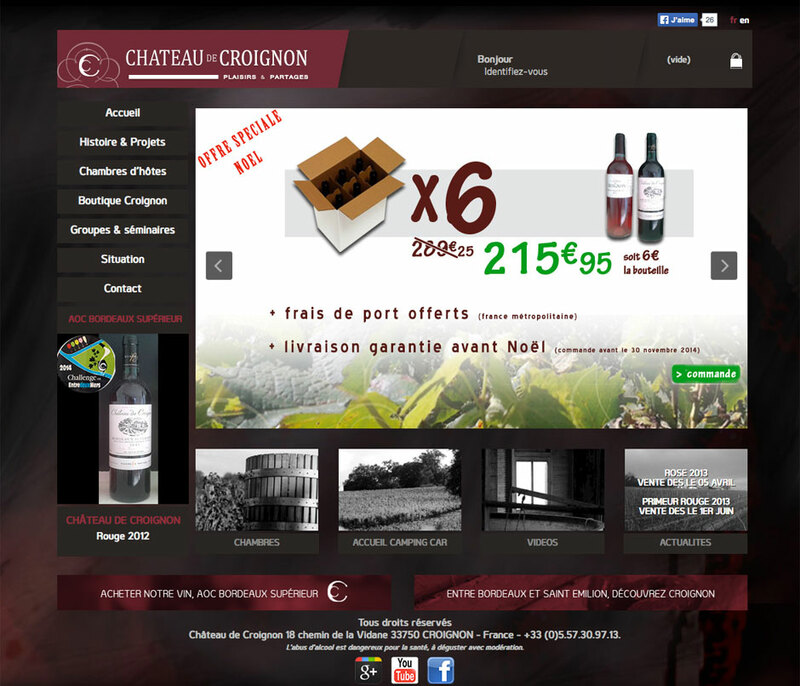 Chateau de Croignon wanted a dynamic website with an unconventional front, a blog and an online shop. Design of the logo and monogram. Design (different for each of the four seasons), creation. 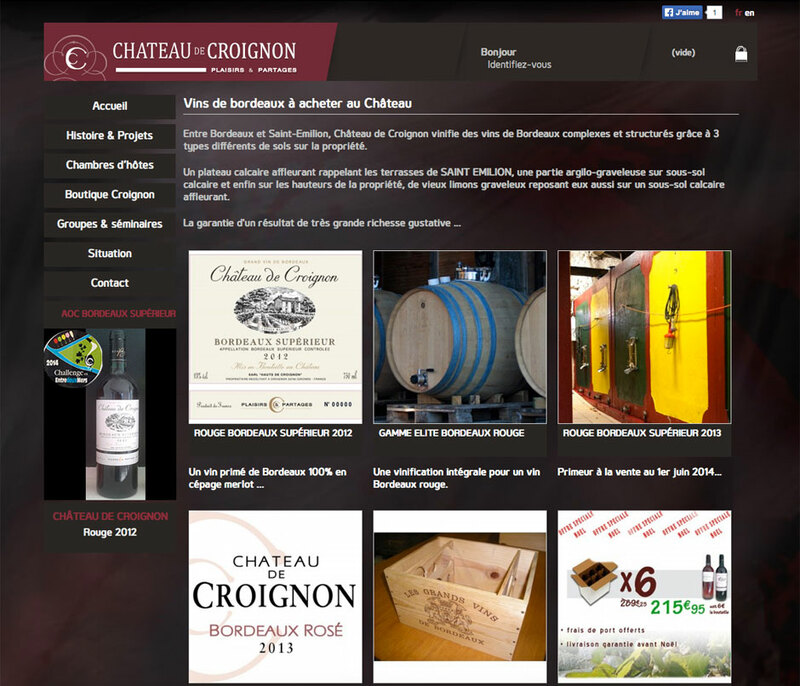 Integration with Prestashop to offer an online shop.